Suitable for a variety of home and garden settings. Great value metal garden gate. 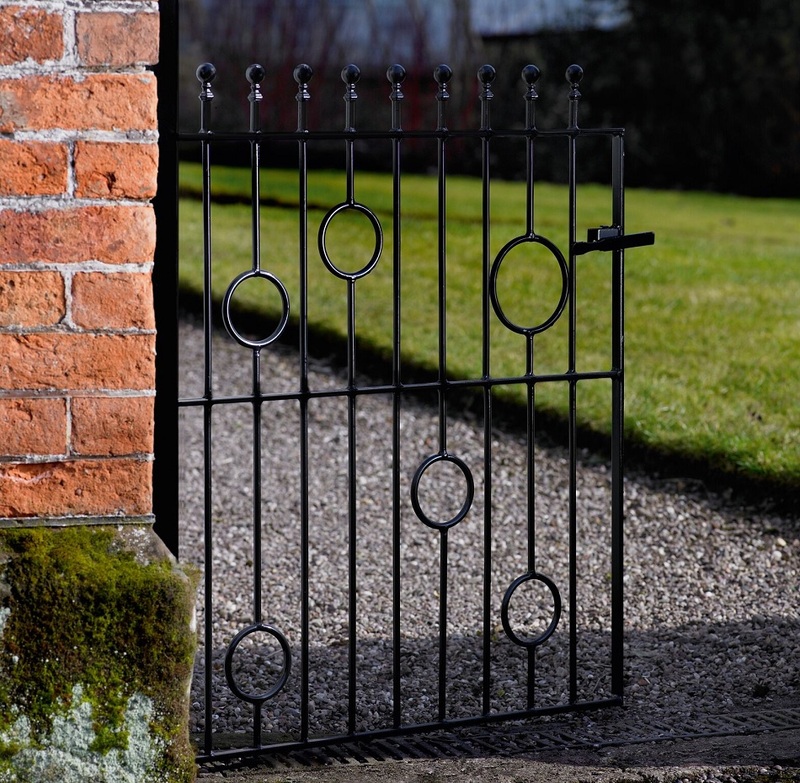 Manufactured in the UK from solid steel components the Picasso 3ft high metal garden gate design features ball top finials and modern looking circular details that ensure an individual appearance at an affordable price. Picasso metal gates are suitable for a variety of modern architectural styles. 20mm x 8mm metal frames, 10mm infill bars and 10mm x 3mm circular scrolls. 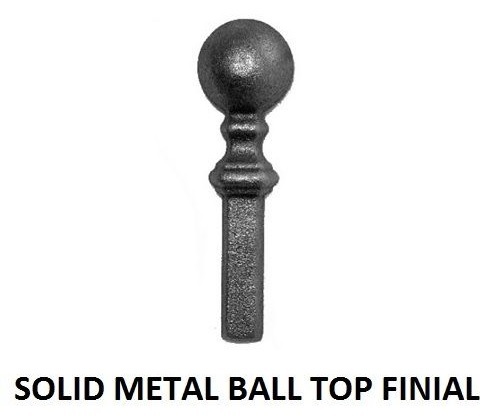 Ball top finials add a subtle yet effective finishing detail. Single gates feature adjustable hinges and a universal latch. Garden gates are supplied with a black primer finish and must be painted before installation. Do you need help or assistance ordering new metal garden gates? 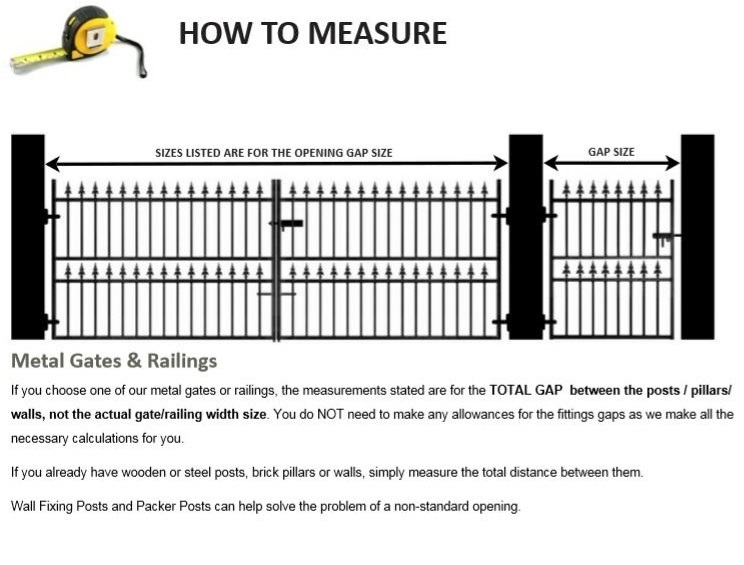 Please contact us by phone or email, read the gate measuring guide or take a look at the FAQ`s page. 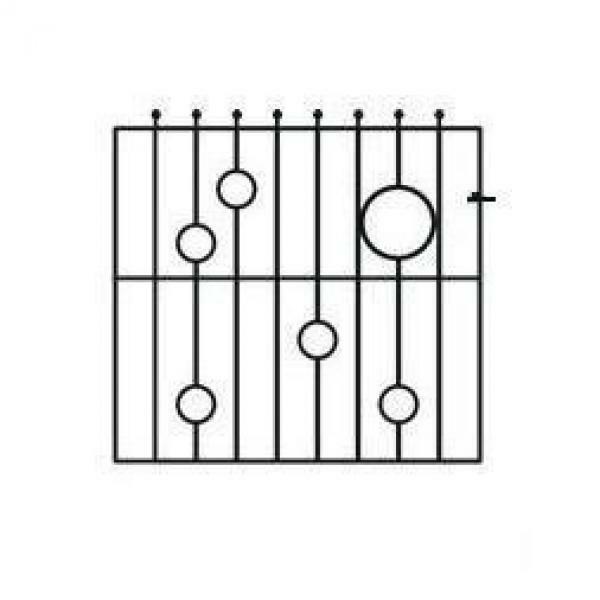 If you would like to order the gate with a factory painted finish or your installation requires the use of metal posts please contact us to discuss your options.